Gutter plumbing in bamboo. This would have been taken in the late '60s. 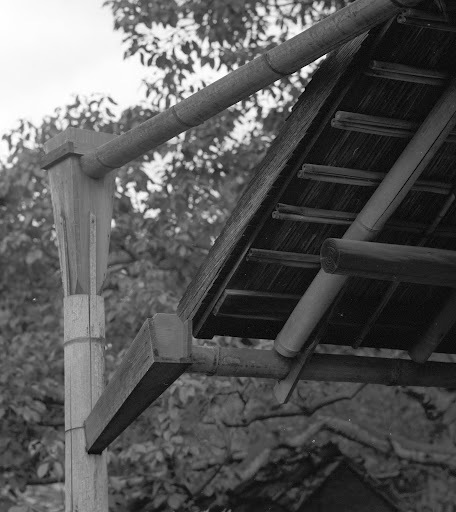 Other framing photos show that this is the roof of a temple, but I can't identify which one.